Photo by the press service of HC "Ak Bars"
On January 19, a friendly match was held between veterans of the “Ak Bars” and the KHL at the “Tatneft-Arena” as part of the Hockey Stars Week. Ilsur Metshin, the Mayor of Kazan, played in the same team with outstanding athletes Danis Zaripov, Sergey Zinoviev, Alexey Morozov, and others. No less legendary hockey players played for the KHL: Alexander Medvedev, Maksim Sushinsky, Alexey Yashin, and others. The Mayor of Kazan scored the last goal in the match. After the game, which ended with the score of 8:4 in favor of the “Ak Bars”, Ilsur Metshin shared his emotions. I. M.: I always watch the team from the stands, and here I was with the team... This is something indescribable. There was not much time left, and Danis Zaripov and Alexey Morozov told me to go out with them. They went forward, Danis saw me and made a smart serve. What did the partners say about your wrist shot? I. M.: Danis said: “Ilsur Raisovich, this one I will remembered for a lifetime”. It is a great honor for me. Thanks to all the organizers of the event and the KHL for the fact that such a holiday came to Kazan, thousands of children saw the stars who came to us. 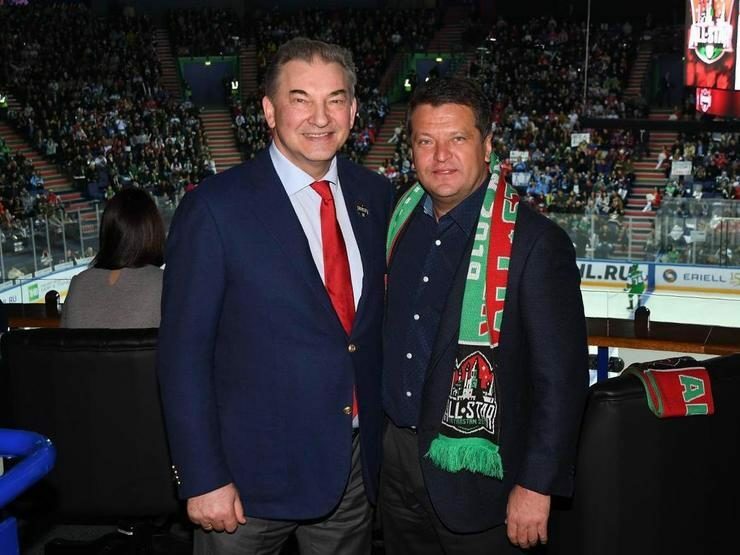 Veterans of the Kazan club with the help of I. Metshin and Roman Rotenberg, the Vice-President of the Ice Hockey Federation of Russia, won back from the score of 1:4.